When you travel you want to feel great so you can enjoy your trip. For those with irritable bowel syndrome (IBS), an intestinal disorder that can cause stomach pains, gas, diarrhea and/or constipation, it can sometimes make traveling more nerve wrecking than appealing. Although approximately 1 in 5 Americans has signs and symptoms of IBS, less than 1 in 5 seek medical help. As a chronic condition, management of IBS can be long term. However, in many people, symptoms may not be that bothersome or can even disappear completely. For those of you that have IBS, by implementing certain planning into your travel plans, you can enjoy your travels worry free! So read on for travel tips that will help you have a fabulous trip. 1. If you don’t know how to manage your symptoms via diet, meet with a Registered Dietitian Nutritionist (RDN) before your trip, so you are aware of the best food choices for you to eat. Just an FYI: meeting with an RDN will be helpful, whether or not you are traveling. Visit here to find a RDN in your locale who specializes in GI health. 2. Keep in easy reach: fiber supplements, medications, bottled water and snacks (i.e. nuts, high-fiber energy bars (such as KIND), fresh fruit). 3. Stay well hydrated as you travel. Keep a bottle of water with you to sip on and have a couple glasses of fluid every time you sit down for a meal. 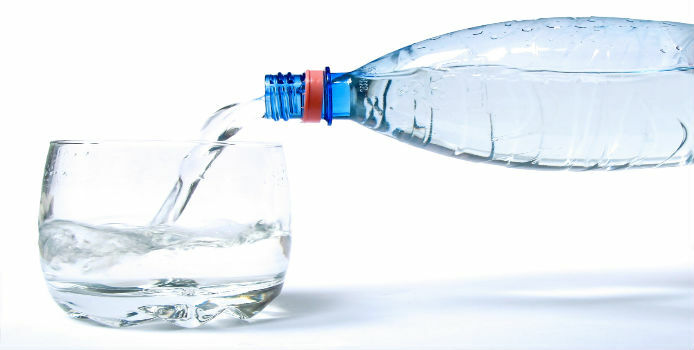 Being dehydrated can exacerbate GI symptoms, causing constipation and gas. 4. To keep your fiber intake up, order salads and/or vegetables with your meals. Have fresh fruit for dessert. 5. Stop at farmer’s markets to pick up fresh fruit for snacks. 6. When traveling abroad, if you have poorly controlled GI symptoms, investigate what measures you have to easily access bathrooms. Find out if you will need special coins and if you will have to have your own toilet paper. 7. When booking flights, opt for the aisle seat for easier access to on flight bathroom. 8. If traveling in a foreign country learn phrases, such as “Where’s the bathroom”, “I can’t eat….” or “Can you make…[dish]…without?” The Google translate app can help with language translations. 9. Traveling doesn’t always have the same schedule as one’s daily schedule at home, but try to consume the same number of meals you’re used to with similar portion sizes. 10. If you’re up to trying new foods, experiment in small amounts with foods you’re unsure of. 11. If you are feeling anxious while traveling, make sure you get your daily hour of exercise in. The meditation app Insight Timer (free for iPhone) may also help you calm down and feel relaxed. Asking lots of questions while you travel regarding food preparation and bathroom logistics may be a pain, but in the long run it will provide a more stress free trip. Having a few of the above-mentioned essentials can ease travel plans, but resist the temptation of over planning! By leaving room for spontaneity, you can truly enjoy your journey. Bon voyage! Lisa Stollman, MA, RDN, CDE, CDN is an award-winning Registered Dietitian Nutritionist and the author of The Trim Traveler: How to Eat Healthy and Stay Fit While Traveling Abroad and The Teen Eating Manifesto: The Ten Essential Steps to Losing Weight, Looking Great and Getting Healthy. She is a writer and Registered Dietitian Nutritionist in private practice, based on Huntington, Long Island and NYC. Lisa was recently honored as the 2015 Distinguished Dietitian of The Year by the New York Academy of Nutrition and Dietetics. Lisa specializes in travel nutrition, weight management, and diabetes for teens and adults. To find out more about Lisa, visit http://www.lisastollmanrd.com. Special thanks to Nikki Nies, nutrition writer and RDN-to-be for contributing to this blogpost. Whether enjoying the tranquility of a beautiful beach or exploring the spice markets of Istanbul, traveling allows you the chance to explore new places and enhance your knowledge of the world around you. Staying healthy while you travel can ensure that you make the most of your time. So use the following tips to feel well as you begin your journey and onward. 1. If you are traveling abroad and want to start off with a healthy meal inflight, you can order a special meal from the airline 48 hours in advance. You can choose from a variety of choices including Vegetarian, Hindu Vegetarian and Asian. 2. Make sure you stay hydrated as you travel. Purchase bottles of water as you explore your surroundings. or keep it green and bring along your water bottle from home and refill with clean water. 3. Stop at local farmer’s markets and buy some fresh fruit for snacks. 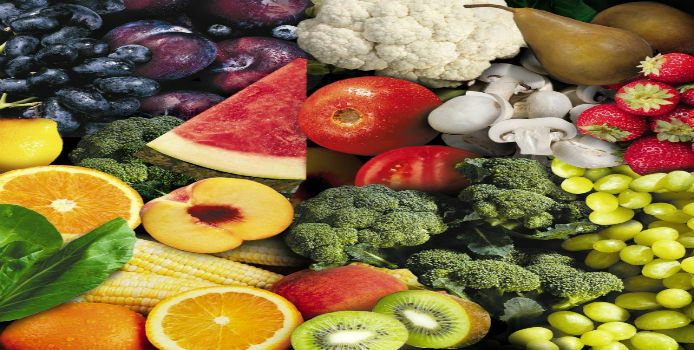 The fruit will provide you with a wealth of nutrients, in addition to much needed fiber to keep you regular. 4. Bring along some packable snacks, such as KIND bars and nuts. It’s easier to have healthy snacks on hand, plus it helps with portion control. 5. Make sure to order salads or sides of vegetables in restaurants. Veggies will help fill you up and not weigh you down. Ask for dressings and sauces on the side. Drink up. Staying hydrated is imperative for good health whether home or abroad. But when traveling, we should be even more aware of it. Being away from home often throws off daily habits and drinking fluids is usually one of them. Our bodies are constantly losing water through perspiration and even breathing. Proper hydration supports the heart and all muscles to work more efficiently. After all, we are composed of approximately 70% water, so no wonder we wouldn’t survive more than a few days without it. 1. Fluid needs vary from person to person. Various factors influence fluid needs such as climate, activity level, clothes, body build and age. Lean body mass is composed of more water than fat tissue, so those leaner with greater muscle tone require even more water than their not so lean counterpart. Certain health conditions, such as heart disease and diabetes, may elevate fluid needs as well. 2. Thirst often indicates we are already dehydrated. So the goal should really be to avoid this, so you don’t end-up playing catch-up. The color of your urine is an easy indicator of hydration status: clear, light yellow indicates hydrated while dark yellow means drink more water. An outward sign of dehydration is dry skin while some symptoms may include dizziness, headache, or fatigue. Also, be aware that you may feel hungry when you are thirsty as the sensation for thirst is the same as hunger. So to keep your weight down, drink up. 3. For every pound of sweat lost, it takes a pint of water (16 ounces) to replenish. Water, seltzer, unsweetened coffee or tea really should be the beverage of choice. Alcohol can have a diuretic effect, so drink water along with any alcoholic beverage and drink moderately. Sports drinks aren’t necessary unless you are exercising at high intensity for more than 90 minutes. The extra sugar can be tough on the stomach if dehydrated and eating meals and snack throughout the day is sufficient to provide electrolytes. Bottle for $99 that utilizes UV technology to neutralize microbiological contaminants to EPA standards and has a built-in LCD to confirm purification results. Fruits and vegetables have high water content so snacking on fruits such as apples, pears, and oranges and including salads and vegetables with lunch and dinner can up your water intake for the day. Always start the day off with a few glasses of water before hitting the pavement. Keep a water bottle with you as you explore your new surroundings. Pay attention to the type of climate in which you will be traveling. Hot environments will increase water loss. Lower humidity and higher altitudes will also accelerate water loss. Airplane cabins have very low humidity levels, typically 10-20%, whereas the humidity level in most indoor areas is 65%. 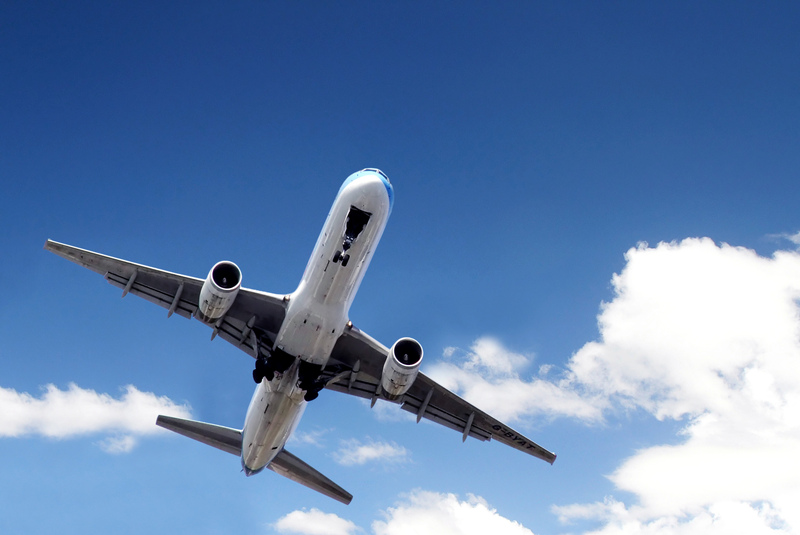 So when flying, especially on long international flights, you should make a conscious effort to drink plenty of water and pay attention to any symptoms of dehydration. Try to avoid alcohol on the plane. Moisturize your skin to help retain moisture, especially in dry atmospheres. Pack a carry size so that you always have moisturizer on you. Spritzing your face can also help reduce the rate moisture leaves your skin. As always, it’s best to be prepared. Happy travels! An award-winning nutritionist, Lisa Stollman, MA, RDN, CDE, CDN was recently honored as the 2015 Distinguished Dietitian of the Year by the New York Academy of Nutrition and Dietetics. Lisa is the author of the ebook The Trim Traveler: How to Eat Healthy and Stay Fit While Traveling Abroad and The Teen Eating Manifesto: The Ten Essential Steps to Losing Weight, Looking Great and Getting Healthy. Her private practice is based in Huntington, Long Island and NYC. Lisa specializes in travel nutrition, weight management, and diabetes for teens and adults. To find out more about Lisa, visit here.